Ich werde in diesem Thread Links posten! Die Links werden vermutlich meist mit dem Thread-Thema zu tun haben! Es können die Worte Tesla, Musk und SpaceX vorkommen! Auch erneuerbare Energien werden thematisiert! Last edited by TomB on Thu 5. Oct 2017, 10:59, edited 1 time in total. Car makers lose money on nearly every pure electric vehicle they sell. Shared vehicles are expensive to maintain and operate and experts note that every shared vehicle eliminates between seven and 20 vehicle sales. And the market for autonomous vehicles is likely to arise from a combination of commercial fleets or networked public transportation propositions - neither of which markets are either flush with cash or eager to embrace new technology. 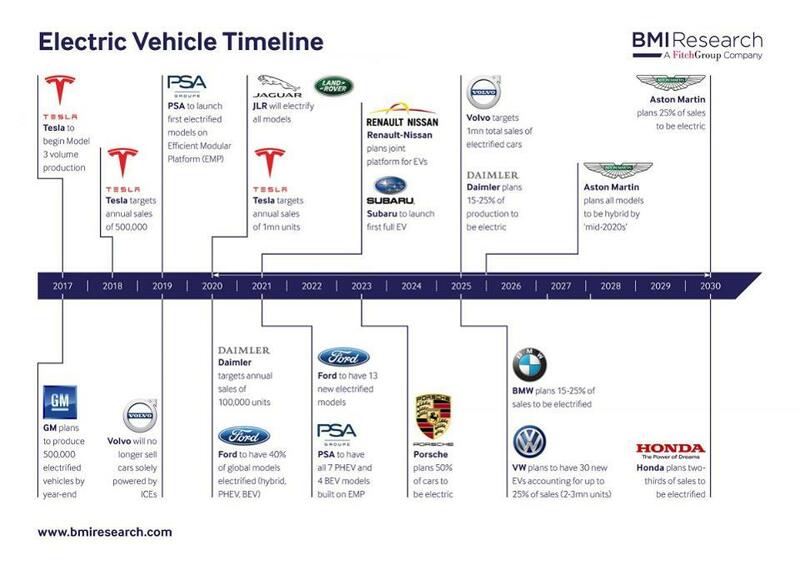 In spite of these forbidding value propositions car companies are charging forward to claim leadership in driving automation with expensive acquisitions and massive investments in development teams. 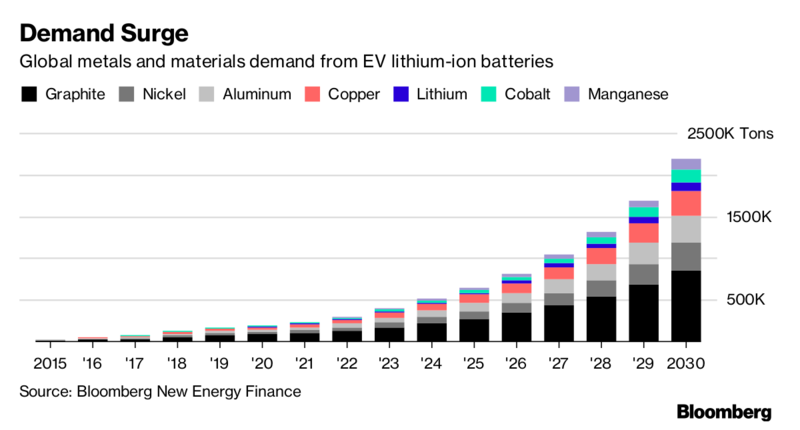 At the same time tens of billions of dollars are being invested in electrification spurred by the threat of global government intervention in the sale of fossil fuel-based vehicles. 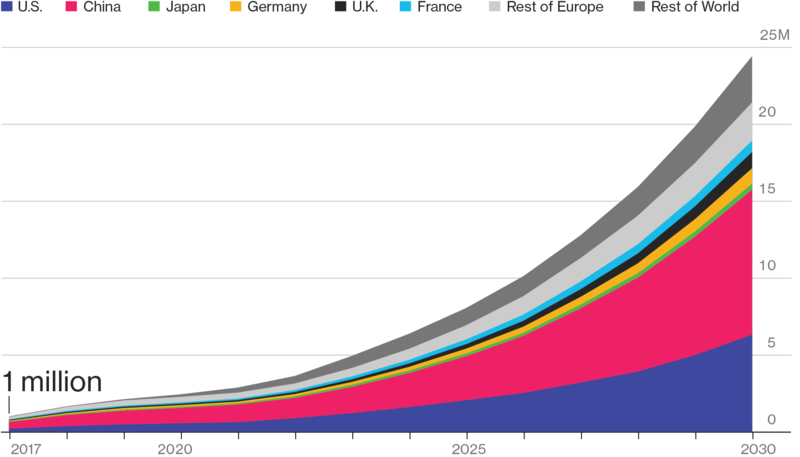 And soon, very soon, every connected car will be a candidate for networked or peer-to-peer car sharing. The bigger issue, of course, is that electrification, automation and vehicle sharing as concepts do not exist in a vacuum. There are market forces behind the emergence of these technologies ranging from government mandates, to climate change, greying and growing populations, urbanization, and changing consumer preferences. The winners and the leaders in these red ocean markets will be those that combine technical acumen with the cleverest and most compelling go-to market strategy. Complicating matters for legacy market players is the reality that market entry barriers are falling with the onset of these technologies even though the prospect of profits remains elusive. We all know about the billions of dollars going into this massive innovation engine. We need to pay a little more attention to how we are going to get money out of it. Bloomberg sieht die EV entwicklung als am anfang eines extremen Ramp ups. Dieser Aussage stimme ich voll zu. merkst Du eigentlich nicht , dass das niemand Interessiert ? VTG könnte evtl sogar die Lebensdauer einer EV Batterie erhöhen? Das wäre erstaunlich und eine wiederbelebung des von vielen bereits für tot gehaltenen Vehicle to Grid konzeptes wie es beispielsweise Nissan unterstützt. Extensive simulation results indicate that if a daily drive cycle consumes between 21% and 38% state of charge, then discharging 40%–8% of the batteries state of charge to the grid can reduce capacity fade by approximately 6% and power fade by 3% over a three month period. The smart-grid optimisation was used to investigate a case study of the electricity demand for a representative University office building. Results suggest that the smart-grid formulation is able to reduce the EVs' battery pack capacity fade by up to 9.1% and power fade by up to 12.1%. onkel wrote: merkst Du eigentlich nicht , dass das niemand Interessiert ? Doch etwas fahl am Platz diese Antwort. Wen der Thread nicht interessiert soll ihn einfach nicht anklicken. Ich schau mir auch nicht jeden Link an. Aber hier und da eine News zum Thema zu lesen ist durchaus interessant. Denn wer immer noch denkt, die E-Mobilität hat keine Zukunft im PKW-Bereich, ist wie das Kind, dass die Hände vor die Augen hält und denkt man sieht es nicht. Die Zukunftsforscher sind sich einig. Übrigens, neben Elektroantrieb ist auch autonomes Fahren und Robotik in der Gegenwart angekommen.